I’m pleased to report that the Tokyo International School has hired Daniel Reynolds as its new head of school, effective in August 2019. On behalf of TIS Board, it is with great pleasure that we announce that Daniel Reynolds has been selected to serve as the next Head of School at TIS (in August 2019). Those of you who had the pleasure of meeting Daniel when he visited TIS recently will already know that he is a bright, thoughtful, engaging leader with strong communication skills. The Board is confident and enthusiastic about his ability to honor our past and also take us successfully into the future. Please join us in warmly welcoming Daniel and his lovely wife, Kako, to TIS. I am very excited to be joining you next school year and I would like to thank everyone for the great hospitality when I visited a few weeks ago. For those who did not get a chance to come to my presentations here is a little about my background. I am from Canada and have been in international education for over two decades. I am currently the Deputy Head of School at an international school in Switzerland and prior to that I worked in the United States as an Upper School Director. I also worked in three international schools in Japan over a span of twenty years and held a variety of roles including Principal, Activities Director and Curriculum Coordinator. My wife Kako is from Nagoya and our son Jonah attends McMaster University in Canada. We are very excited to be coming back to Japan and specifically a great school like TIS. This was a long and intensive search which drew several strong applicants. I know you join me in wishing TIS a successful new era with Dan at the helm. 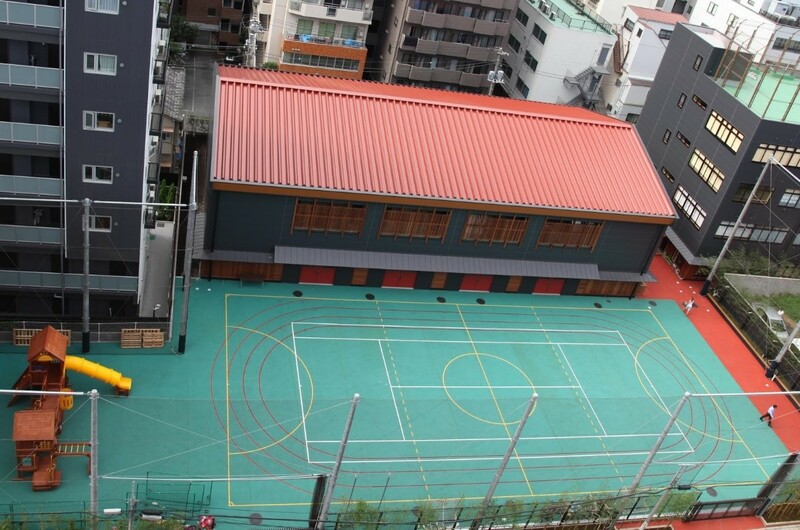 Tokyo International School (TIS) is an established, non-profit, primary and middle school situated right in the heart of Tokyo. The school campus is located in one of the world's most exciting cities on the doorstep of some of the city's most famous landmarks. TIS is an international school in the truest sense. Our multinational faculty currently serves 355 boys and girls from 58 nations. Our admissions policy ensures that we stay true to the international families which we serve and to the international ethos which we value. Our curriculum is international and our programs draw upon effective, research based practices from leading education systems throughout the developed world. What the TIS School Board believes sets TIS apart from other schools is that we successfully combine contemporary yet rigorous teaching, learning and assessment practices, with family-like relationships between teachers, students and parents. 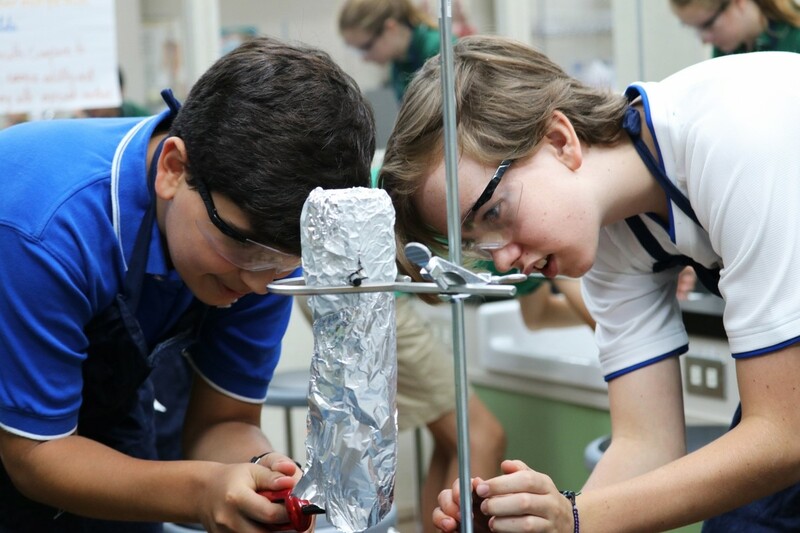 This creates a very special, friendly, open, learning-focused climate based on mutual respect.TIS is an extraordinary school with wonderful teachers, and one which fosters learning that pushes the boundaries of creativity, academics and innovation. To nurture confident, open-minded, independently thinking, well balanced inquirers for global responsibility. Our values are embedded in The IB Learner Profile. The entire school community is nurtured and expected to be: inquirers, thinkers, communicators, risk-takers (courageous), knowledgeable, principled, caring, open-minded, balanced, reflective. TIS is accredited by the New England Association of Schools and Colleges and the Council of International Schools. 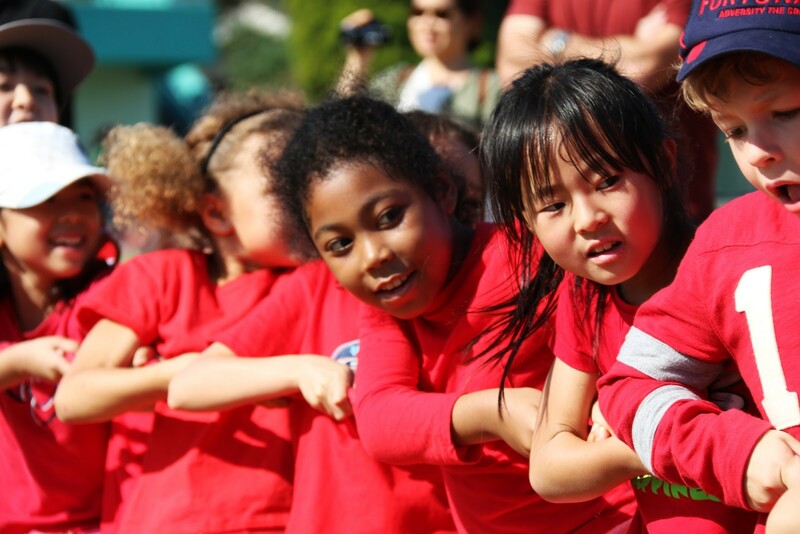 The school is a fully authorized, International Baccalaureate World School delivering the International Baccalaureate Primary Years Program and Middle Years Program. We are an Apple Distinguished School. 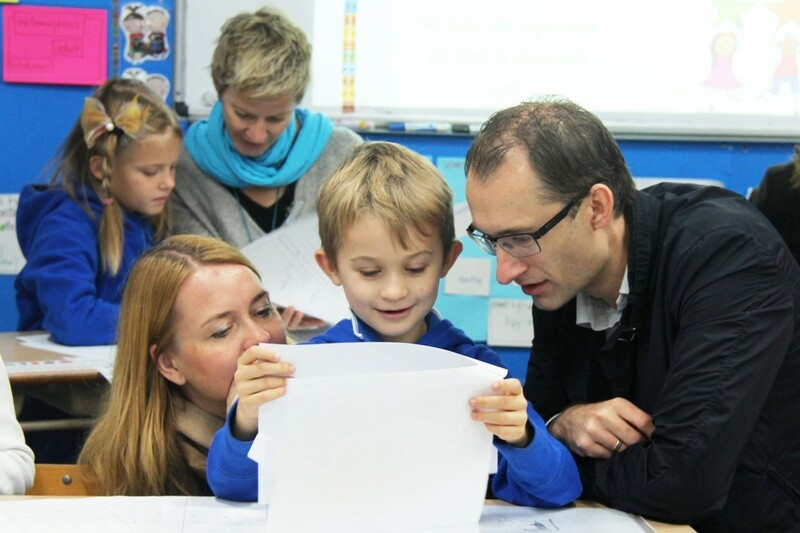 TIS is also one of a handful of international schools worldwide recognized by Columbia University Teachers College (New York) as an official Reading and Writing Project School. We are also a member of educational organizations such as the East Asia Council of International Schools and the Japan Council of International Schools. The current campus is located in Minami Azabu within the Yamanote Line. The location is considered central Tokyo. The campus is comprised of two main buildings: the Primary School and the Middle School. The Primary School building is a modern, stylish, purpose built facility opened in 2013. The Middle School (and Grade 5 classrooms) are located in an older building with a more industrial feel. 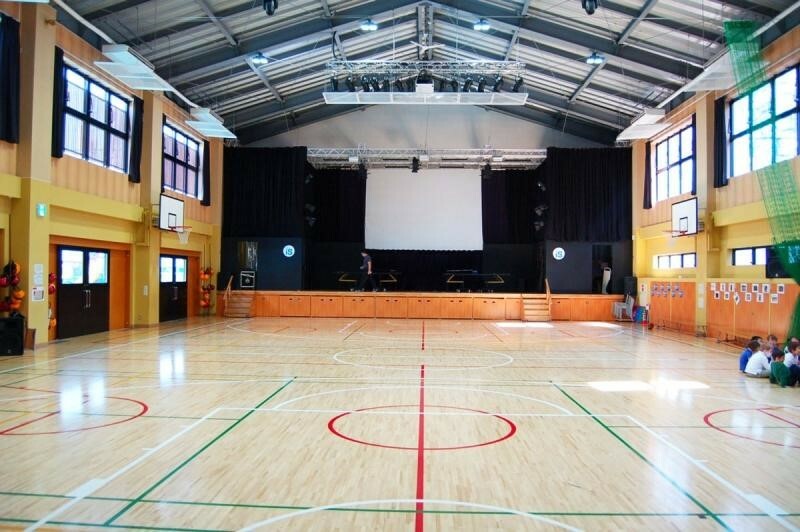 There is a modern, well equipped gymnasium with a stage and theatre lighting, and an all- weather surface track and play structure. The facilities include spacious classrooms, multipurpose rooms, staff rooms, a performing arts studio, library and a fleet of school buses. Due to our central Tokyo location space is limited. There are, for example, no swimming pool, cafeteria nor playing fields. The TIS curriculum is designed within the frameworks of the International Baccalaureate Primary Years Program and Middle Years Program. This structure brings together the very best teaching practices from education systems around the world and delivers them in a cohesive way which is meaningful, challenging and transferable when our students move to their new schools. 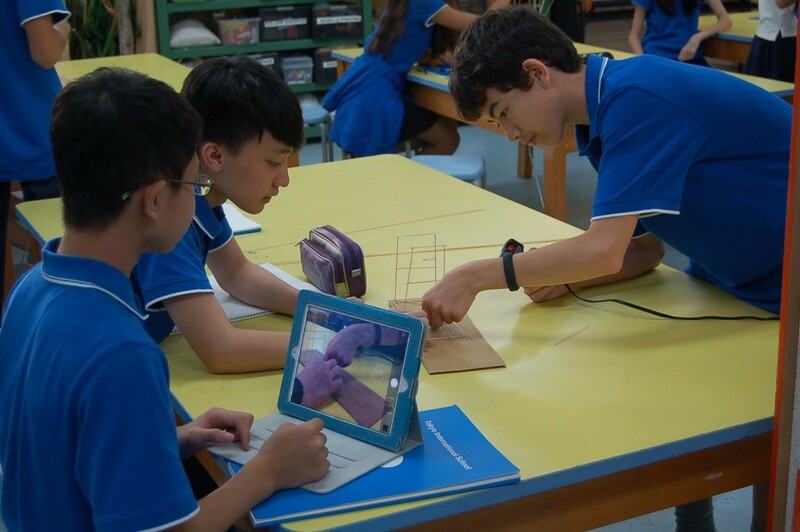 The IB programmes at TIS develop a strong academic foundation and a lifelong love of learning, and teach students life skills such as empathy, tolerance, leadership, self management, and global citizenship. Teaching in the school empowers students to make decisions and take ownership of their own learning. Learning emphasizes; inquiry, agency, collaboration, critical thinking, goal setting, self assessment and compassion which reflect our guiding statements. The school curriculum is well defined and is aligned to that of leading developed nations, including the USA, Australia and the UK. 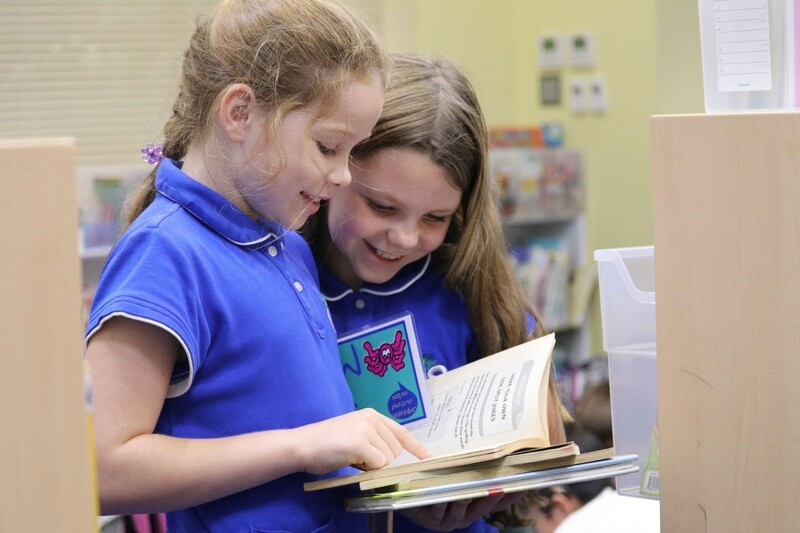 Our literacy follows the Columbia University Teachers College 'workshop' approach ensuring that our students receive the highest standards of literacy instruction. Our mathematics program is based on the USA curriculum: the Common Core with an emphasis on the Standards of Mathematical Practice such as precision, mathematical thinking tools and problem solving. Academics in the school is complimented by a rich arts program, an exciting after school program, physical education, field trips, scientific inquiry, technology and much more. TIS's commitment to the IB and our expertise in IB philosophy and teaching practice is deeply rooted at all levels of our organization. Our Board Chair is the IB Ambassador for Japan and has been integral to the implementation of the IB Diploma in Japanese schools. Our Board member with responsibility for education worked for the IB in the Cardiff office for many years, where she led IB initiatives and authored key IB documents. We are committed to developing IB leadership capacity in our faculty and as such we actively support our teachers to become part of the International Baccalaureate Educator Network (IBEN). We currently have five members of IBEN on staff including both of our divisional principals and IB coordinators. Our school is an agreed teacher training center for the University of Tskuba's IB Educator and Leadership Certificate programs. 2017 TIS awarded non profit, official school status by Tokyo City. Plans are in place to expand the middle school and open a senior school. The aim is to be a full PYP, MYP, DP IB World School in the future. The earliest this is predicted to occur is 2024. Future challenges will include efficient and strategic use of funding, raising revenue, the design of a new campus, increased staffing and resources, and the implementation of the Diploma program. 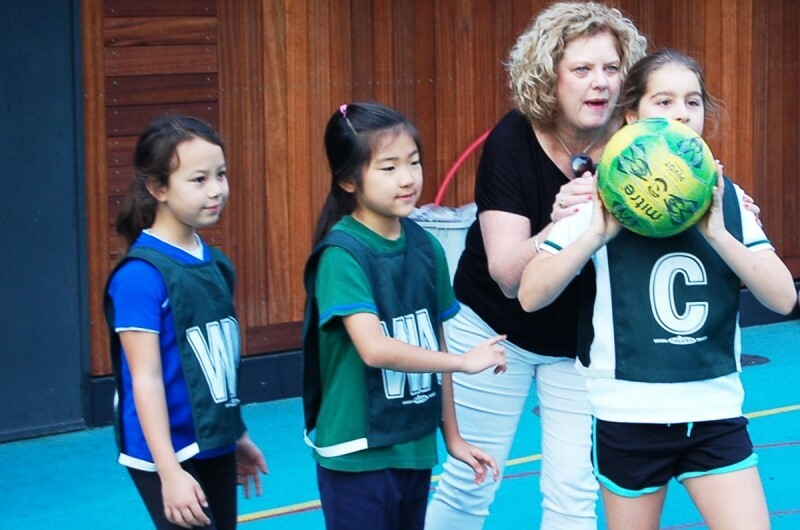 and the Head of School (at present Lorraine Izzard). Although a formal leadership hierarchy is in place, a distributed, consultative approach to leadership is valued and encouraged. All staff members are viewed as learners and with the potential to lead initiatives; sharing ideas, teaching and learning from one another irrespective of the institutional hierarchy. In addition to the Head of School, formal leadership positions include a Middle School Principal/Middle Years Programme Coordinator, a Primary School Principal, a Primary Years Program Coordinator, a Business Manager, Human Resources Manager and an Operations Manager. TIS has 38 highly experienced teachers. The faculty is comprised of fully qualified teachers educated in developed nations, each holding a minimum of a Bachelors degree. More than half hold a Masters degree. Most teachers are certified in the United States, New Zealand, Australia and Canada. 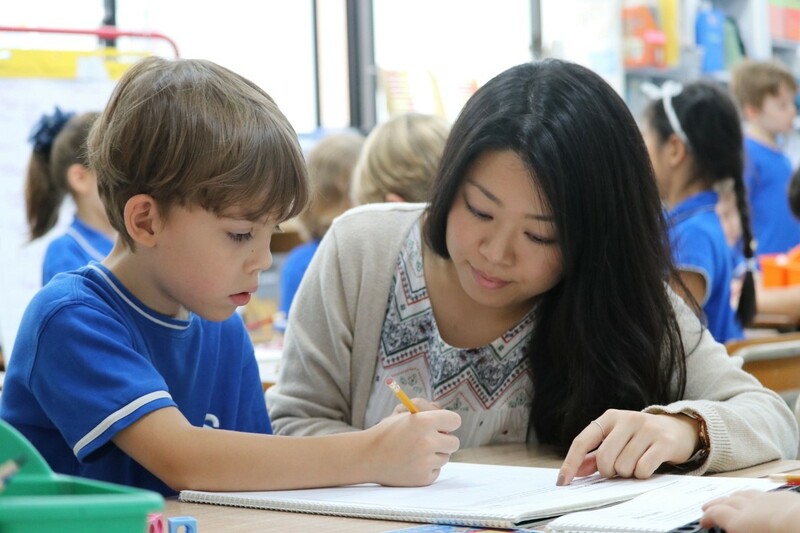 The teaching faculty includes two IB workshop leaders, two trained literacy coaches, two Apple Distinguished Educators and three Mathematics Specialists in International School certified teachers. There is a well qualified and experienced Support Team including English support teachers, learning support teacher, and a school counselor. Teaching competency and pedagogical knowledge is high. There is a comprehensive auxiliary staff including a full time school nurse, teaching assistants, student assistants, office staff, receptionists, IT staff, admissions team, maintenance team, bus drivers and bus monitors. Additional outsourced staff include cleaners and some after school club providers. Students whose language proficiency in English is native or near native comprises 50% or more of the class. The ratio between boys and girls in the class is kept to 1:1 as much as possible. A minimum five years of experience teaching or leading within a reputable IB school. A minimum of five years experience as a principal or director overseeing a division of at least two hundred students. A minimum of five years of experience in education outside of his/her home country. Experience in school administration directly or indirectly (budget management, HR, accounting etc.). 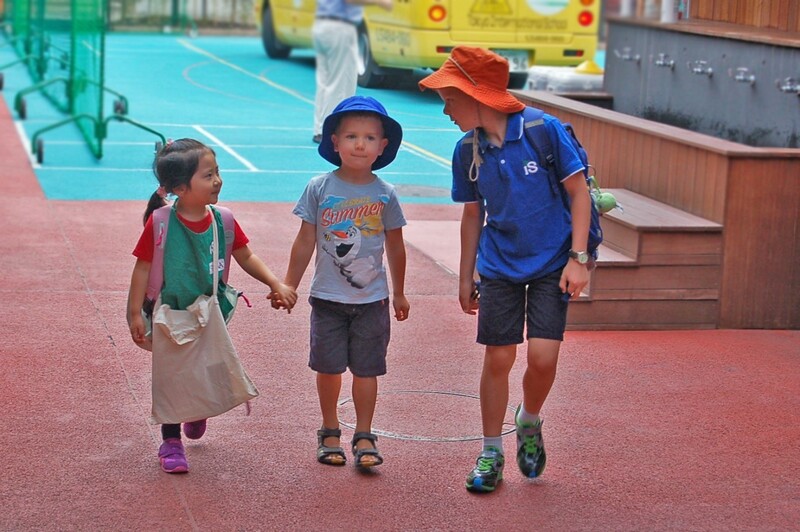 Experience in an international school in East Asia or South East Asia. High learning expectations for students and teachers. A high level of intercultural competency for a truly international school with 58 nationalities and no dominant national culture. A flexible, open-minded person who lives our school's mission and vision in daily practice. A collaborative team member who believes in and can practice distributed leadership, but who can make the 'tough' decisions when necessary. A principled, caring person of high integrity. TIS is committed to safeguarding and promoting the welfare of children and young people and expects all staff and volunteers to share this commitment. Successful candidates will be required to undergo relevant background checks. Salary and benefits are competitive within the region for international schools and will be dependent upon the qualifications and experience of the successful candidate. 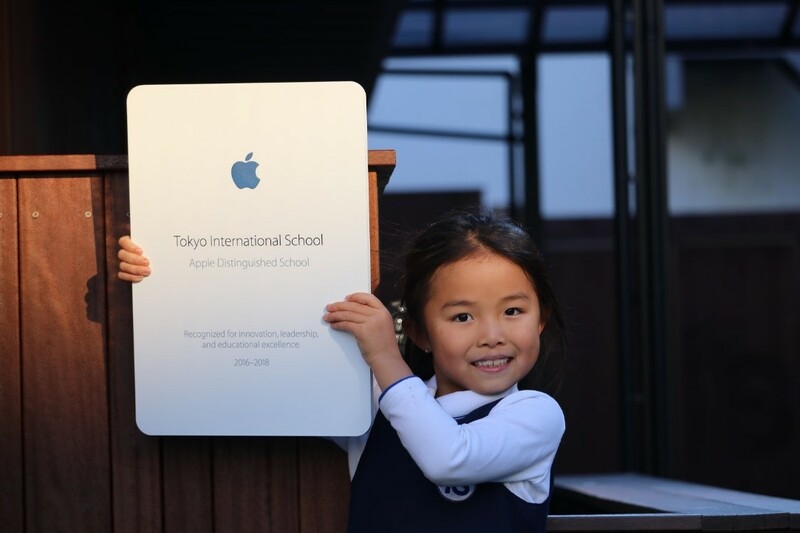 Tokyo International School has appointed Search Associates to assist in the search for a new Director, with John Magagna and Bridget McNamer as the consultants leading the search. Candidates are asked to submit the requested materials as early as possible as the TIS Board reserves the right to close the search immediately if the right candidate is identified. The review of files will begin as soon as applicants are received. Semifinalist candidates will be selected by Search Associates and their application and supporting materials will be forwarded to the TIS Search Committee on a rolling basis. The Search Committee will interview selected semifinalist candidates and two to four finalist candidates will be identified by mid to late-July. Finalist candidates (and their spouses/partners if applicable) will be invited to Tokyo in early September and will have the opportunity to meet with the students, parents, faculty, staff, administration and Board. The new Head-of-School will be appointed shortly after the conclusion of the site visits and the interviews of the finalists has been concluded. Candidates who wish to apply for the Head-of-School position at Tokyo International School should submit the following information in the form and manner requested. A letter of application no longer than two pages, explaining your strengths as a candidate and why you are interested in the TIS Head-of-School position.